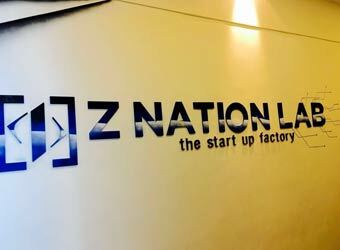 Three professionals with experience in investment banking, market research and real estate have floated an accelerator and incubator called Z Nation Lab that will back startups which will target both the Indian and US markets. The accelerator will offer mentoring programmes and collaborative workspace in Mumbai. It has shortlisted 20 enterprise and technology startups in the first batch, after evaluating more than 150 ventures in the Internet of Things (IoT), gaming, emoticon and sensor technology segments. Of the 20, three to five companies will be finalised for acceleration programme that will stretch up to 15 months, co-founder Anup Mehta said. Mehta studied MBA at the SP Jain Institute of Management & Research and is director of Mumbai-based Vinay Unique, a real estate collaborative venture between Vinay Group of Companies and Unique Group of Companies. Co-founder Neha Jain is marketing graduate from Mumbai University with experience in market research. The third co-founder, Khushboo Jain, previously worked with Grant Thorton and was the former CEO of Umang Financial Advisors before starting Z Nation Lab. Established in April, Z Nation Lab has a ticket size of between $50,000 and $250,000 per startup and will take an 8% to 12% stake in startups, Mehta said. Mehta said the accelerator is looking for validated business ideas, with innovation in technology, which can be scaled with business acumen. It has affiliate centres in Pune, Jaipur, Bengaluru, Chandigarh, Indore, Chennai and Silicon Valley. Besides helping with product development, it plans to provide support in pitch coach, mentors, chartered accountants, lawyers, application and web developers and social media marketing support that costs anywhere between Rs 5 lakh and Rs 10 lakh per startup, he said. One of the mentors Z Nation is working with is Nitin Pradhan, founder of Washington DC-based Launch Dream Accelerator. Salil Pradhan, venture partner at Draper Nexus Venture, is a board adviser at Z Nation, Mehta said. The firm is also affiliated with Washington DC-based Govonomy to help technology startups grow in US government markets and provide them with the opportunity to work with the US government, according to its website. Salil Pradhan, who has 54 US patents, said he expects enterprise software and software-as-a-service segments to see a resurgence in the Indian market. Z Nation plans to conduct a 45-day boot camp four times a year and select up to 25 startups in its affiliate centres for the accelerator programme, he said. Mehta said the firm is in the process of getting a registration from Atal Incubation Centres, which will provide Rs 10 crore for a five-year licence to run the incubation centres.